The word Health defines and expresses the general condition of a person at any given time and condition in all the aspects in which the living condition of a person can be defined. A person has a Anatomical and Physical Structure which performs its functions and metabolic activities which when performed in a rhythmic fashion, give us a sensation of being healthy. The World Health Organisation - The WHO, when first established in 1948, defined Health as "Health is a state of complete physical, mental, and social well-being and not merely the absence of disease or infirmity". Further ahead in 1986, The WHO refined the definition of Health in the Ottawa Charter for Health Promotion as, "Health is a resource for everyday life, not the objective of living. 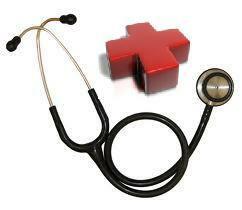 Health is a positive concept emphasizing social and personal resources, as well as physical capacities". The Health Definition can be attained by maintaining an Optimum in the Health Triangle in between Physical Health, Mental Health and Social Well Being. Health represents one of the most closely related part of almost every living being and without which life cannot be smooth. A common cold or fever can cause differences in the normal and rhythmic functioning of the body, mind and soul and thus leads to a disturbed life. Check out our articles and guides which provide extensive information on Ayurvedic medicines, treatments and authentic clinics.